"Thursday is the new Friday!!!" 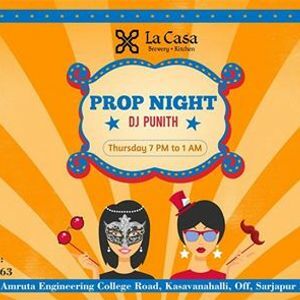 Beat Wednesday slumps with fun at La Casa Brewery + Kitchen's Prop Night. 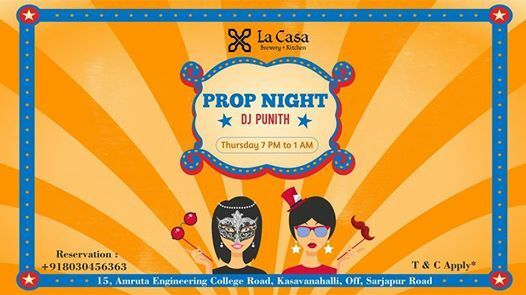 Make memorable moments this Thursday as DJ Punith will be on the floor to rock your evening. 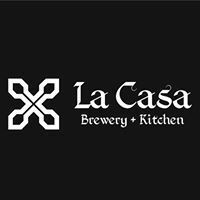 Also, Chug amazing craft beer and lip-smacking food! !